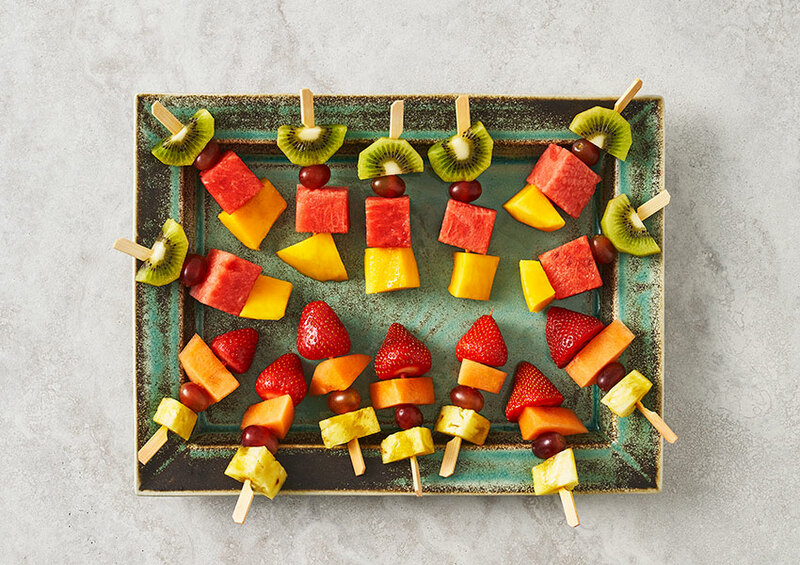 Juicy chunks of watermelon, strawberry, pineapple, melon, kiwi, mango and grapes on skewers. Watermelon, Strawberry, Pineapple, Melon, Kiwi, Mango, Grape. Watermelon, strawberry, pineapple, melon, kiwi, mango and grape on skewers. Safety - Although every care has been taken to remove all seeds and pips, some may remain. This product contains sharp wooden skewers.